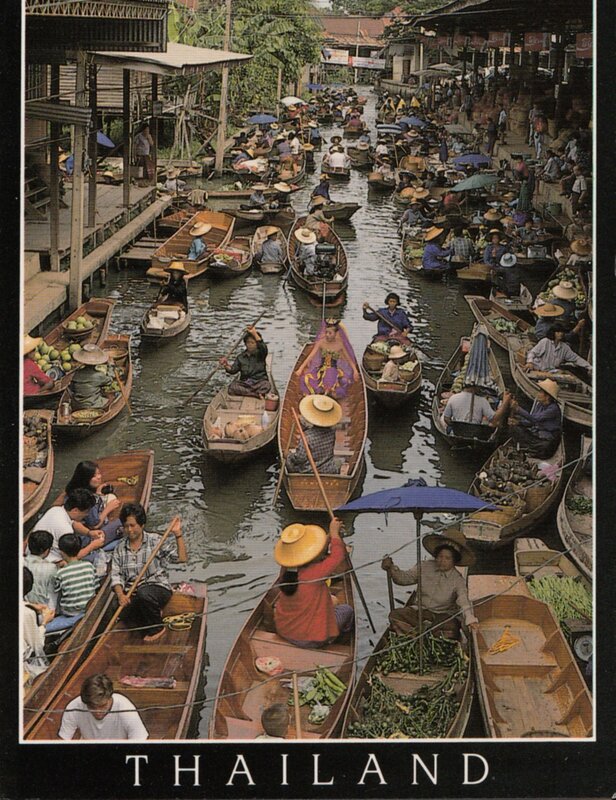 This is a postcard of the Damnoen Saduak Floating Market outside of Bangkok. 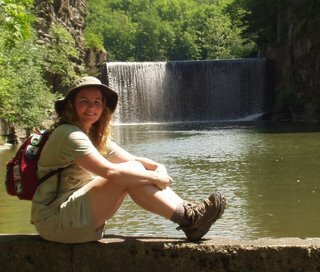 I went there with my stepmother in the spring of 1994 and it was just a riot of colors and smells and sounds. 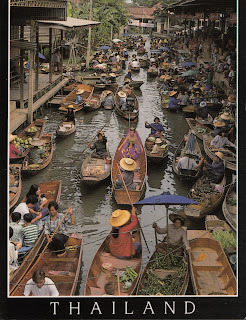 I've received several postcards of floating markets - they're fascinating!